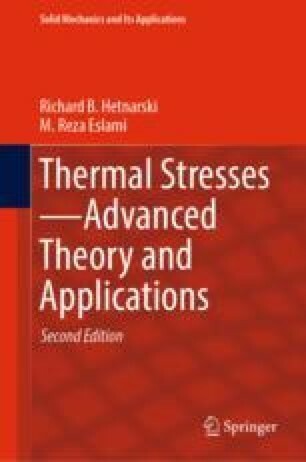 This chapter presents thermally induced vibrations of isotropic and homogeneous beams and shallow arches and functionally graded beams. The vibration occurs when the heat conduction equation is of parabolic type and the first-order time derivative of temperature function is involved in the heat conduction equation. This equation may be solved with the hyperbolic equation of motion to provide thermally induced vibrations if the limit of inertia parameter is met.